Peripheral nerves, brain, and spinal cord comprise the neural organ system, which is traditionally divided by its components into the peripheral nervous system and central nervous system. 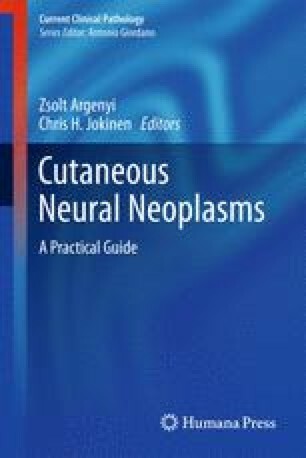 Cutaneous peripheral nerves are responsible for the transmission of sensory information, motor function, and control of multiple functions vital to preservation of the integument and survival of the human. Among these are sensory of the external environment through touch and pressure, and temperature regulation by control over erector pili muscle, eccrine duct secretion for sweating, and constriction or dilation of blood vessels for conservation or release of heat. The peripheral component of the neural organ system includes nerve fibers, nerve fascicles, and various sensory receptors.